As temperatures hit record lows nationwide, it is important to remember that winter storms create a host of safety issues. When out on the road, sending your children to the bus stop, or bundling up at home, there are ways that you can prepare for the worst when a winter storm hits. Remember that a winter storm can last for several days and you could face extreme weather conditions, including winds, freezing rain and sleet, an accumulation of snowfall, and dangerously cold temperatures. In addition to listening to the radio and television for winter storm warnings, you can also be prepared in advance to prevent winter storm accidents, injuries, and fatalities. Our personal injury attorneys in Boston are aware of the severe risks and injuries related to winter storms. We are committed to raising public awareness to prevent such injuries and to help victims seek necessary medical attention and treatment. In addition to advocating for injured persons and their families, we are abreast of safety issues to help members of our community be prepared in the face of a winter storm. Create a disaster supply kit. Whether you are stuck in a storm while in your car or at home, you should be prepared with an emergency kit. You should have an emergency supply kit in both your home and your car that includes a flashlight, extra clothing, blankets, bottled water, canned food, a battery-operated radio and a first-aid kit. Consider changing weather patterns. Winter storms can be unpredictable. You should stay abreast of weather alerts, but also remember that weather can change in an instant. When you drop your kids off at school or head to work, remember that dangerous conditions may arise quickly. Always be prepared for changing weather patterns. Stay indoors and out of elements. During a winter storm, especially when temperatures are dangerously low, you should avoid going outside or driving in a vehicle. If you must go outside, dress warmly in protective layers, including gloves or mittens, and a hat. If you must drive, don’t forget your cell phone and keep your gas tank full. Eat regularly and stay hydrated. Eating food provides your body with nutrition and energy to naturally create its own heat. Water will also ensure that you are hydrated throughout the storm. You can drink warm broth and juice to keep your body temperature up. Watch for signs of injury. 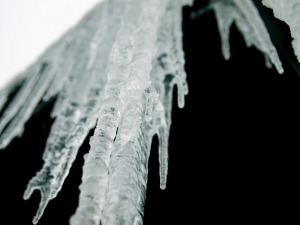 The most common injuries caused by cold weather conditions are hypothermia and frostbite. Watch for potential signs of these conditions in your children, your loved ones and those you may encounter during a storm. After the storm. Even after snow has stopped falling or you sense that temperatures have begun to rise, do not assume that roadways are safe. You should avoid driving until roads have been completely cleared. You should also avoid contact with the cold and overexertion: heart attacks from shoveling are the leading cause of death during the winter. Contact Jeffrey S. Glassman for a free and confidential appointment to discuss your rights after an accident. Call 888-367-2900.